Two bestselling volumes are here in one handy resource -- includes both Wiersbe's Expository Outlines on the Old Testament and the New Testament! 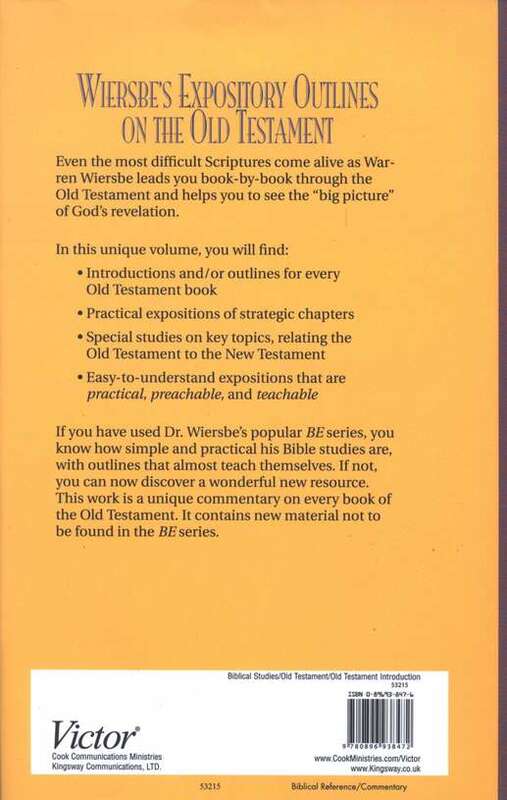 Even the most difficult Scriptures come alive as Warren Wiersbe leads you book-by-book through the Bible and helps you to see the "big picture" of God's revelation. This resource helps you discover how each book and its strategic chapters fit into the total revelation God has given us of Christ and His redemptive work. You'll find an outline for each book, introductory notes, studies on key topics relating the Old Testament to the New Testament, and easy-to-understand expositions that are practical, preachable, and teachable. A gold mine of help for individual or group study! Dr. Warren W. Wiersbe is an internationally known Bible teacher and the former pastor of three churches, including the Moody Church in Chicago. For ten years he served as general director and Bible teacher for the Back to the Bible radio broadcast. 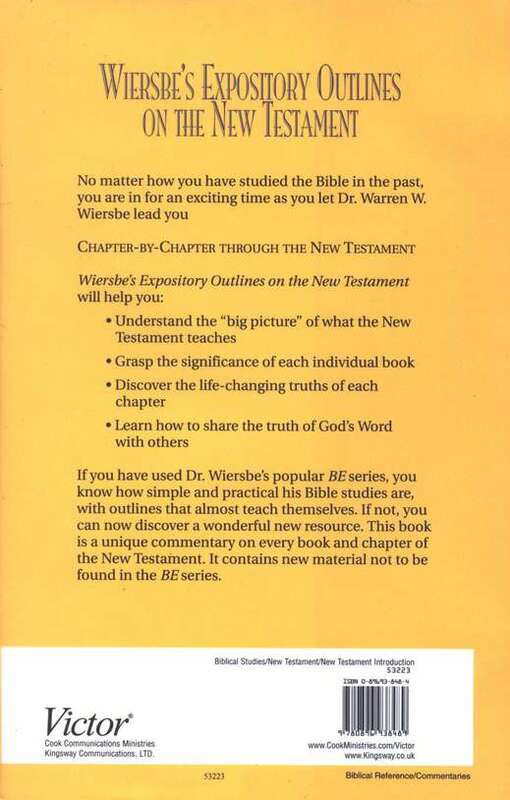 Dr. Wiersbe has written more than 150 books, including the popular "Be" series of expositional Bible studies, which has sold more than four million copies. In 2002, he was awarded the Jordon Lifetime Achievement Award by the Evangelical Christian Publishers Association. He and his wife, Betty, live in Lincoln, Nebraska. * Runs on e-Sword PC, X for Mac®, HD for iPad®, and LT for iPhone®. Please see our Help Page for system requirements for this format. Love the concise way Wiersbe Outlines is written. I had purchased the “Be” series for another product. This commentary seems to be as good. I appreciate his succinct, accurate and useful comments and outlines. They are user friendly and ready for use with study groups, teaching, etc. Everyone should have this excellent resource available. Very well done and easy to understand. Very good. My wife and always turn to Wiersbe. long time user of Wiersbe. Glad to have it on EStudySource. I do a Ladies Bible Study. Wonderful resource for verses. I purchased this book, as I lead a women's Bible Study and by reading the description, I thought it might help with some of their questions they ask. It has been a big help especially since these ladies can ask some pretty deep questions and I can look up the Scripture and the outline helps to provide them an answer. 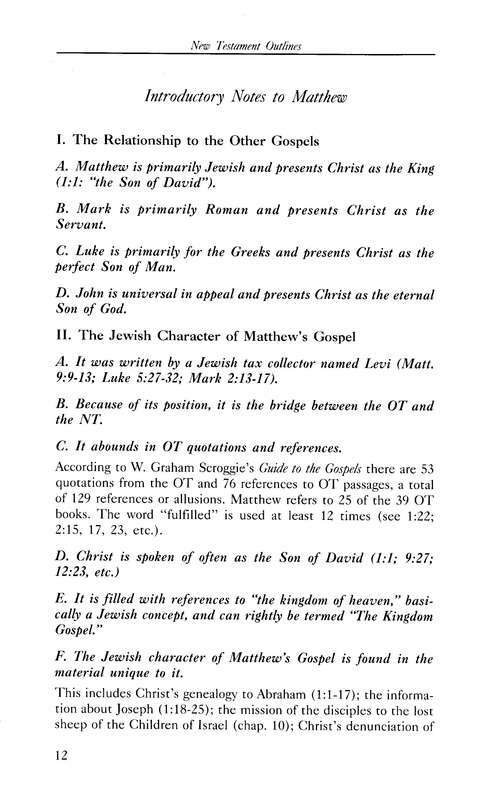 I am enjoying Warren Wiersbe outline commentary. 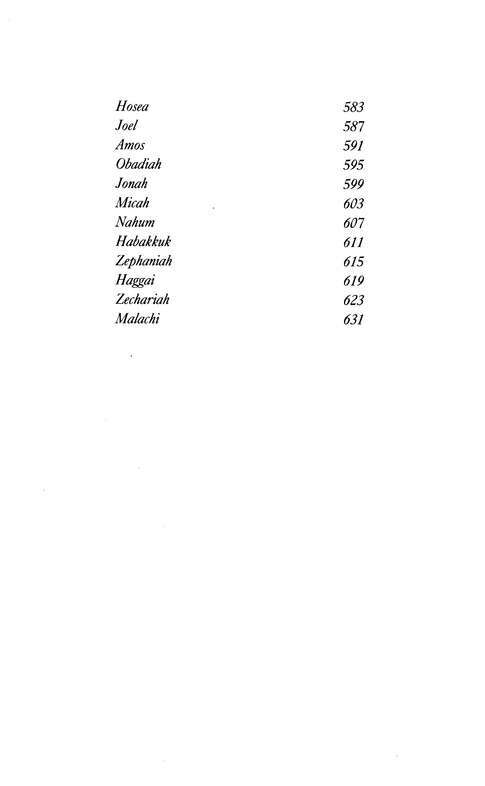 It has been a big help in my understanding of some difficult scriptures. I love it! Great use for bible study, personal or group. Love the questions. This book is very helpful for my preaching ministry. 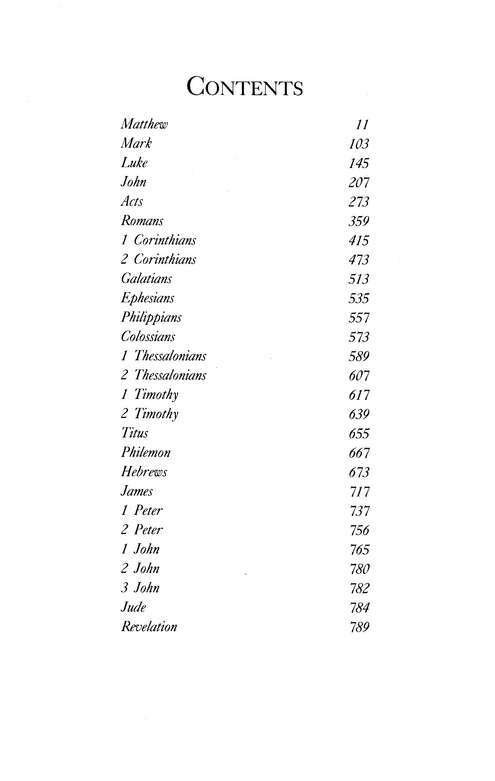 I find it very helpful in preparing for Bible study sessions. It is one of several I use but find it frequently the dominant source. excellent, concise outlines and exposition. Warm, devotional presentation. Highly recommended. excellent, concise outlines and exposition. Warm, devotional presentation. Highly recommended. Thank you for such a wonderful product. God Bless your ministry. I have long used Dr. Wiersbe's books and having this one open along side my parallel bible versions helps me in many ways while I study each day. I thank God for this commentary. It is full of great flavor from the Word of God fuming with alliterations. Thanks for E-sword and Dr. Wiersbe for the efforts. 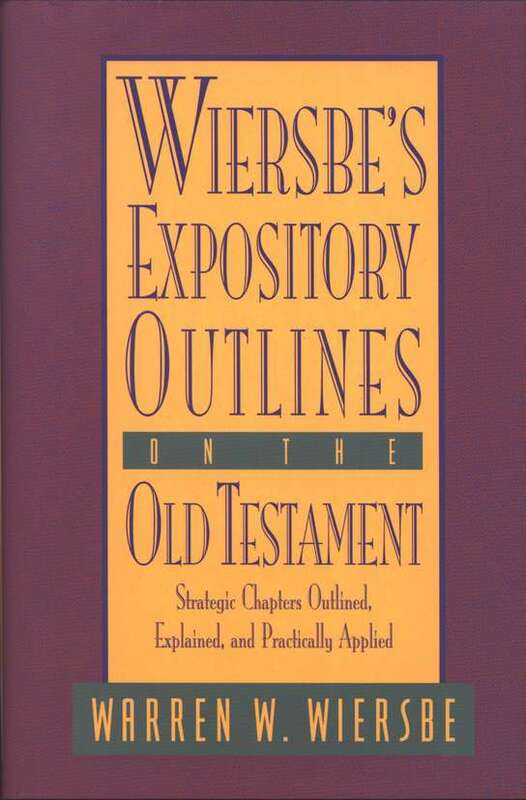 I have enjoyed the insight from the Wiersby Commentary and this volume of his Outlines on the Bible is equally enjoyable and useful is arranging thoughts to present when preparing to speak into the lives of other individuals. 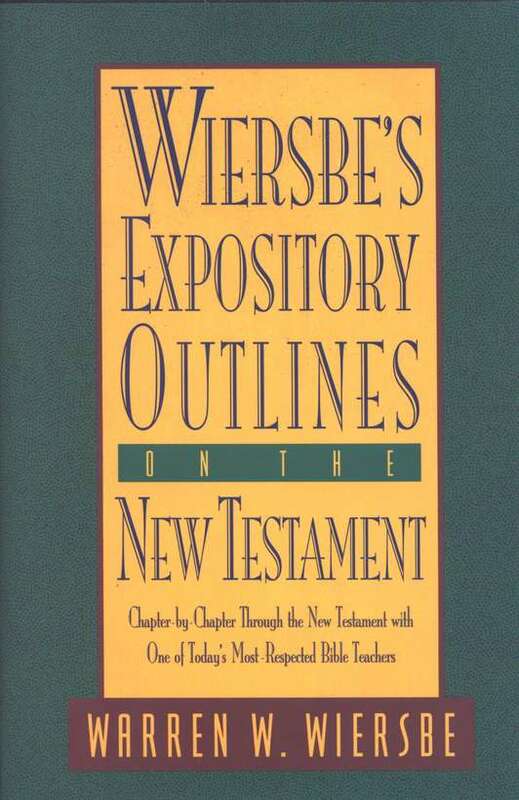 Wiersbe's Expository Outlines on the Bible should be a primary staple of your study library. His clarity, conciseness and appropriate cross-referencing make for another elemental tool to gaining a well rounded understanding and application of God's word. Recommend this resource. 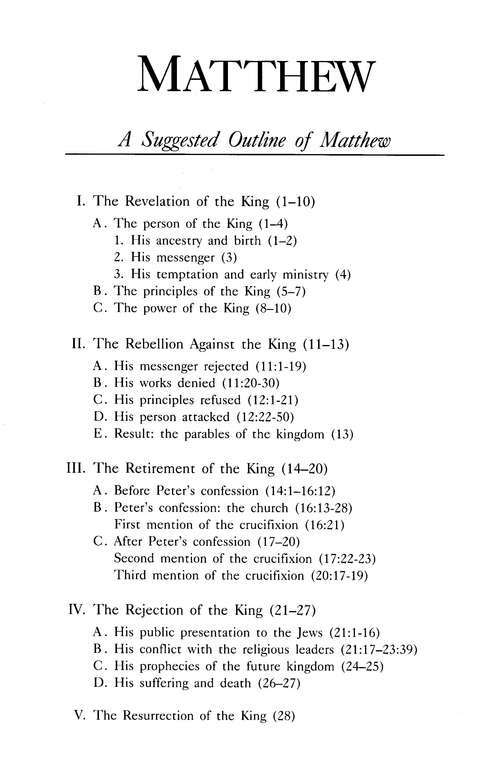 I have found Wiersbe's Expository Outlines on the Bible helpful for being precise overviews of not only a passage, but also how that fits in the message of the whole book. It is different than the Wiersbe Commentary and complement's it. 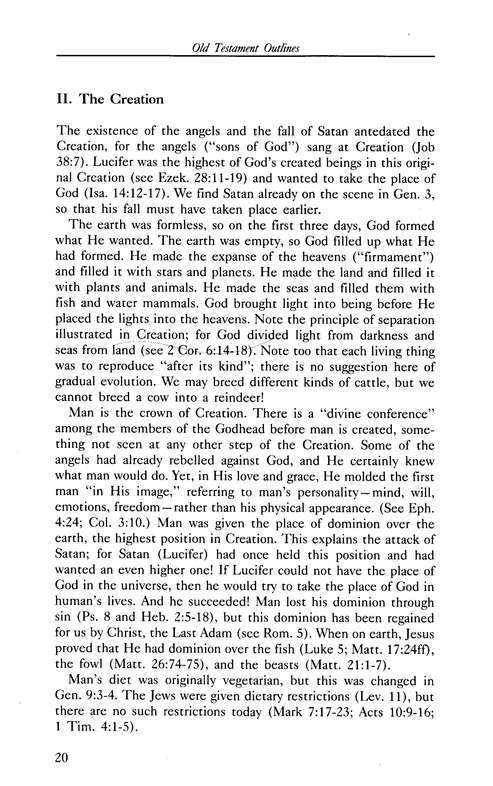 This commentary gives a roundabout view of entire chapters the outline version is excellent when you are studying the entire chapter or the content of the entire chapter Dr. Warren weirsbe is one of my favorite writers I have the entire be series excellent commentary although this commentary is very concise without a lot of explanation or application it gets the job done it serves the exact purpose in which it was created another excellent resource for eSword. I have not used this book extensively yet. But so far it has not quite met my expectations. It is not as 'expository' as I hoped it would be, in fact I feel it may be a little bias. 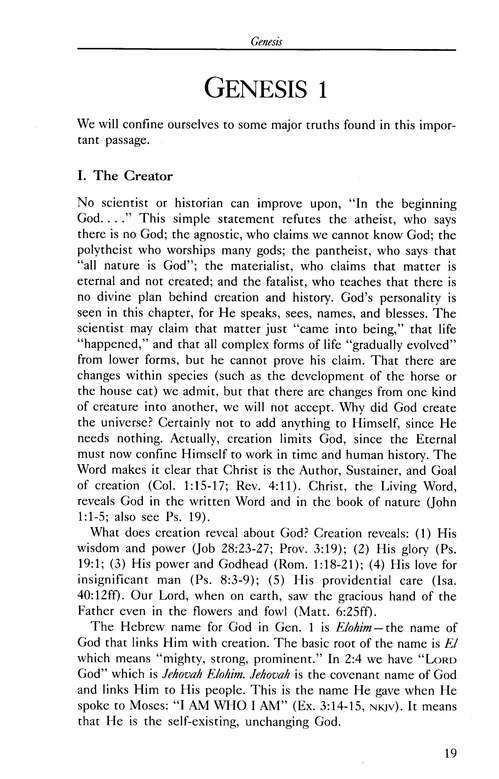 For a good overall understanding of the Bible there is no one better than Warren Wiersbe. One of the best eSword commentaries you can own. Current, relevant and inciteful. Having met Warren in the UK when he visited our church in North Curry Somerset. I was amazed at his understanding and ability to communicate the word of God so clearly. As a student of God's word myself he greatly added to my understanding but also he stirred up in me the challenge to pursue God in more depth. I was give his outline notes of the whole Bible but through the years the type has worn thin. So greatly valued by me I was delighted to be able to purchase them though e-StudySource. 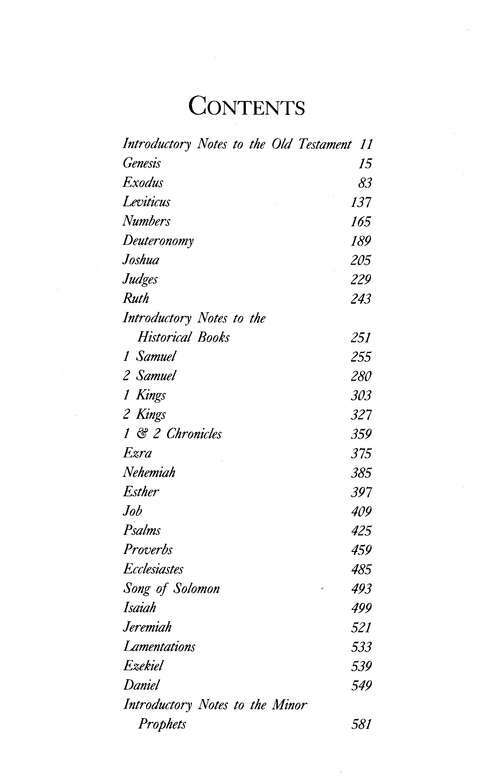 I recommend them if you want an overview of the books of the Bible you won't find better. just purchased this set, and used it tiny bit, but I am satisfied with what I am seeing in it. I had scoured the "reviews" for this set and it helped me to make the decision to purchase! I appreciate E-Sword and all you do for the Pastor, Lay-person, and knuckle-heads like me to walk in maturity with the LORD. Very helpful! Easy to use. Practical. Great sermon helps. Would recommend it to others! Warren Wiersbe is brilliant! Not only do I have this volume, but the "Be" series as well, which is his commentary on the Bible. This is an average resource. After having used it for a couple of years, I use it periodically but it isn't an integral part of my daily bible study. It is worth the money, but there are other resources that I would purchase first. Thanks for this. 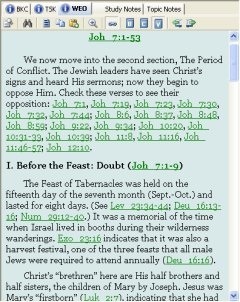 It's very helpful and useful for my study on the word of God. I'm still starting on my way of better understanding the Word of God. Thanks to eStudySource and to Warren Wiersbe for providing this very helpful resources. God indeed have His ways on getting His sons equipped on His Words. Wiersbe's Expository Outlines are great. Wiersbe is solid in theology, practical in application and easy to read and understand for those without a Greek or Hebrew language background. Nevertheless, he does manage to plumb the depth of the riches of Gods Word. A great addition to e-Sword for the serious student or preacher. The whole Bible view is clear to me now, that the Old Testament was a shadow of the things that happened in the New Testament. Understanding certain passages that are related with other passages that should not be interpreted in isolation now become clear. A great aid.